We had choosen two destinations for our 2010 DXpedition. The first stop from Oct 26, 2010 to Nov 2, 2010 in Rwanda, 9X, operating as 9X0SP. The second stop in Burundi as 9U0A from Nov 2, 2010 to Nov 9, 2010. We were active with several stations on 160m through 10m on CW, SSB. One station was exclusively dedicated to RTTY, PSK31 and SSTV. Please check our News Page as well as the 9X0SP Pictures Page and the 9U0A Pictures Page . We had three K2 transceivers, three amplifiers (2x XV600, 1x TY900), 2x 18m Lowband Vertical, verticals for 40m and 30m, a Spiderbeam for 20/17/15/12/10 and some Beverage antennas. Pilot station for this DXpedition was Bernd, DF3CB. 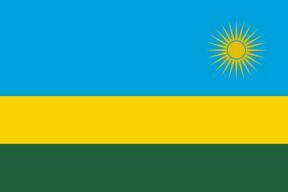 Economy: Rwanda is a poor rural country with about 90% of the population engaged in (mainly subsistence) agriculture and some mineral and agro-processing. In 2008, minerals overtook coffee and tea as Rwanda's primary foreign exchange earner. The 1994 genocide decimated Rwanda's fragile economic base, severely impoverished the population, particularly women, and temporarily stalled the country's ability to attract private and external investment. However, Rwanda has made substantial progress in stabilizing and rehabilitating its economy to pre-1994 levels. Rwanda joined the East African Community and is aligning its budget, trade, and immigration policies with its regional partners. 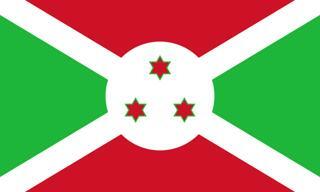 Economy: Burundi is a landlocked, resource-poor country with an underdeveloped manufacturing sector. The economy is predominantly agricultural with more than 90% of the population dependent on subsistence agriculture. Economic growth depends on coffee and tea exports, which account for 90% of foreign exchange earnings. The ability to pay for imports, therefore, rests primarily on weather conditions and international coffee and tea prices. Food, medicine, and electricity remain in short supply. Political stability and the end of the civil war have improved aid flows and economic activity has increased.